In the November issue of Identity I wrote that it is disheartening to see that although their lead has slipped the so-called ‘Conservative’ Party, which now conserves ever fewer British interests, still leads in the polls. This is at a time when they have failed to come up with any answer to the economic problems facing this country as thousands more lose their jobs every week, and they still manage to kid some of the electorate that they “will do something” about escalating immigration. On the economy we would recommend you to read Nick Griffin’s article this month, and the editorial on page 3. We already have a good idea of how a future Tory Government would deal with immigration and the ethnic ‘minority’ community in the statements made by Cameron glossing over Muslim extremism and refusing to commit his party to any effective restrictions on immigration in general. His comments are best described by that rather basic term, “wind and piss”, particularly when one recalls his commitment on asylum seekers “to taking them to our hearts, and feeding and clothing and schooling them”. Now his potential rival, the jolly London mayor Boris Johnson has said “I will carry on Livingstone’s work on diversity”. This was in an interview for the Muslim News. To the Muslim News’ concerns that festivals such as ‘Eid in the Square’, ‘Diwali in the Square’ and other faith base events would not be funded or supported under his regime, Boris was adamant that he was “totally behind that” and would “support that completely”. Boris Johnson’s Policy Director in London is Anthony Browne, who in the past did not endear himself to Cameron when he showed a modicum of concern with the current rise in immigration. Now that’s all changed and he has suggested that illegal immigrants who have been living in Britain for seven years should be offered an amnesty, which would allow them to become residents and earn citizenship. And this is from a person who is considered to be on the “right” of the Conservative Party. When jovial Johnson was questioned in his interview with Muslim News about Browne having allegedly making critical comments about Islam, he went into pc overdrive saying Browne was “utterly committed to a glorious multiracial, multiethnic, multifaith London”. Over in Wales the local Tories are keen to show the Londoners that they too know how to pander to the Muslim electorate. Nick Bourne, the leader of the Conservative Party in Wales has formed the Welsh Conservative Muslim Forum. Speaking at its inaugural meeting last month he made these enlightening comments. “On his election as Leader, David Cameron promised to reach out to minority ethnic communities and to recognise the contribution immigrants have made to our prosperity and culture. And I am determined that we should do so in Wales as well. Originally published on the website of the British National Party. 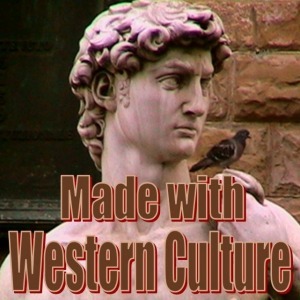 For those loyal to the Western peoples, Western nations, and to Western Civilisation. The world’s most endangered species is our people. This site includes writings from numerous sources. The inclusion of any articles here does not imply that any of the writers are in agreement with any other authors or materials included on the site.